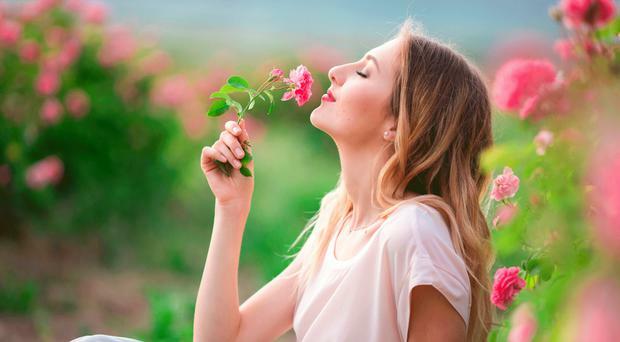 Spring has finally sprung and it's brought with it a blooming bouquet of flower-powered fragrances. "Florals? For spring? Ground-breaking," we hear you mutter sarcastically, but this season's aromatic array is far from traditional. There are no shrinking violets here - only distinctive and delightful scents to suit every taste. Even the usual suspects (jasmine and rose, we're looking at you) have been blended in new and innovative ways. Viktor & Rolf's much-loved Flowerbomb gets a nocturnal makeover with this darkly decadent new edition, which marries night-blooming jasmine with patchouli, a pinch of pepper and a squeeze of blackcurrant. As bright and sunny as its yellow bottle suggests, this luscious cologne brings the tropical flower to life with ylang ylang, jasmine and a zingy hit of lemon. The Queen of Flowers reigns supreme in this sumptuous concoction, which teams two of the most fragrant varieties, centifolia and damascena, resulting in a ravishing rose explosion. Ever heard of the datura plant? Neither had we until we encountered this scent. Centred around this poisonous, night-blooming white flower, Mon Paris Floral adds peach flesh, raspberry and pear into the mix, creating a juicy, fruity floral cocktail. Zesty grapefruit and sweet peach leap out from this sprightly scent, while delicate peony and a musky finish round out the composition. One of two new launches that focus on foliage rather than petals, this green-fingered fragrance gathers together the fresh scents of leaves, stalks and stems, bolstering the verdant elements with earthy musks and woods. If you're happiest in a greenhouse or potting shed, this perfume will surely appeal. Likewise, if you love nothing more than to inhale the crisp aroma of tomato or raspberry leaves, L'Occitane's Herbae will be right up your street. Based on the wild grasses of Provence, it also includes nettle and bramble, plus a dash of wild rose to balance the botanical notes. No fewer than eight white musks are brought together in 1957, named after the year when Gabrielle 'Coco' Chanel was at the height of her powers. Bergamot and neroli add a citrus freshness to the powdery musks, while iris brings a subtle sweetness. Simultaneously floral, fruity and musky, this seductive blend brings together magnolia, nectarine, mandarin oil and apricot flower, floating on a bed of soft amber and wood notes. Inspired by the sand dunes of Arabia, this oriental fragrance brings rose and jasmine into the desert musk mix, warming the floral notes with rich amber and cedar wood.